Veronica Victoria Dorris (1883-1982), called “Ronnie” by family and friends, was my husband’s great grandmother. This good southern Christian lady moved to the wild west Arizona Territory, away from her parents and family home in Mississippi. 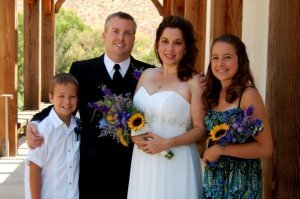 She married, raised her children, and spent the rest of her life in Arizona. Jeff’s grandfather, William Wallace Greene, was counted twice on the 1930 U.S. census–with his parents and sister at their family home in Phoenix, Arizona, and also alone in San Francisco, California, while away there for school.